The unsettling disappearance of a fisheries observer sparks questions about safety on the high seas and the fate of the fish stocks observers attempt to monitor. A little over a year before Keith Davis disappeared at sea, he sent an ominous email to friends. In it, he linked to a video that shows four men being shot to death while they cling to debris in the ocean. After the gunshots ring out and blood spills into the water, the camera pans to the boat, reportedly a tuna fishing vessel from Taiwan, where men are laughing and posing for photos. The YouTube video describes the victims as Fijian, killed just beyond Fijian waters. Other commenters claim they were Somali pirates whose attempts at hijacking the tuna vessel off the coast of Somalia backfired. “One way or another, the video depicts murder,” wrote Davis. The 40-year-old was a fisheries observer—a member of a little-known profession tasked with traveling aboard the boats used to fish the world’s oceans to monitor and collect data from the catches—and spent much of his time far from shore. The nature of his work made him an outsider among captain and crew: a tiny, isolated speck in a vast ocean. For Davis’s friends, the video now seems like sinister foreshadowing about his fate. Davis landed his first job as an observer in Alaska in 1999. He was a college graduate with a degree in biology, drawn to the sea and to the unstructured freedom of the observing life: stints of intense work followed by months during which he could visit friends and family or return to Arizona where he was building a house next door to his father. He was a compulsive traveler too, exploring South America and Nepal. Following Nepal’s 2015 earthquake, he raised US $2,000 to help rebuild a school there. One day, he told a friend, he planned to walk across Israel for world peace. For Davis, such things were not naive ideals, but legitimate aspirations. In his professional life, Davis’s idealism found an outlet in his work helping protect the world’s oceans. Observers track how many fish the vessels catch, whether any protected species were harmed in the process, and whether fishermen are following the rules designed to help conserve fish stocks—such as not dumping unwanted fish overboard or harvesting endangered species. There is no easy way to grasp the immensity of the world’s oceans. They cover 362 million square kilometers, or just over 70 percent of the Earth’s surface. But just a tiny fraction of that is actually controlled by national governments, whose authority over natural resources extends only 370 kilometers from the shoreline of a coastal state. In other words, more than 40 percent of the planet’s surface is covered by water that belongs to everyone and to no one. Not coincidentally, lawlessness on the high seas is rampant. Every second, more than 816 kilograms of wild fish are caught illegally at sea, mostly in the so-called “international waters” that lie beyond national boundaries—that’s like hauling up 211 fully-loaded Boeing 747s every day. Though commercial fishing is now a multibillion-dollar industry, fishermen must work ever harder to fill their nets as global fish stocks decline, requiring longer, more expensive trips. With such high financial stakes, many fishermen feel pressure to ignore the myriad rules and regulations that govern commercial fishing industries. The consequences of “illegal, unreported, and unregulated” (or IUU) fishing are staggering: according to the United Nations’ Food and Agriculture Organization, 90 percent of the world’s fish stocks are fully or overexploited. As much as 30 percent of the world’s seafood now comes from IUU fishing, generating $10- to $30-billion in revenue and an accompanying cornucopia of unsavory practices: labor and environmental violations, corruption, bribery, money laundering, violence, human trafficking, and drug smuggling. As an observer on fishing vessels around the world, often in international waters, Davis worked on the front lines of this landscape. The first observer programs emerged in the 1950s, and today there are over 50 globally, the majority run by contractors who employ observers on behalf of governments and regional fisheries management organizations (groups of countries that share jurisdiction over a part of the ocean). Though observers have no power to stop or sanction illegal activity, their work is critical for preserving the world’s oceans by supplying independent information about fish stocks that resource managers use to set fishing quotas. The number of boats carrying observers depends on the laws of a particular government or group of countries and the type of fishery. In Hawai‘i, for instance, all swordfish and tuna boats are required to carry an observer on board, but in the western and central Pacific, the coverage rate for longline tuna vessels is just five percent. Overall, only a small number of the world’s fishing boats carry observers, despite the vital role their presence plays in deterring illegal fishing. Early on in his career, Davis became close friends with Anik Clemens, another observer. They met in a gear shop in Hawai‘i, where both were based, and often spent their time off together, hiking, paddleboarding, and camping around the islands. With his weathered hands, disarming smile, tanned skin, and affinity for hemp jewelry, Davis looked halfway between a construction worker and a hippie. Clemens admired his sense of humor and his ability to connect with people. “He asked good questions,” she says. The two often spoke about the risks of their chosen profession. Out at sea, there were just so many ways for things to go wrong. On crab boats in the Bering Sea, for instance, Davis had stood shivering on the open deck for hours at a time while he collected data from the catches, icy ocean spray hitting his face. Occasionally, waves came crashing across the deck, knocking him off his feet. And one time, a 23-kilogram hook pulling up a giant net full of fish broke free from the cable, whipped through the air, and slammed into the boat’s iron bulwark, leaving a deep depression right between Davis and a crew member. Years later, he still thought about the hook and how, had it changed its trajectory by the slightest degree, he would have been impaled or sliced in half. But some of the dangers had nothing to do with the sea. Davis was especially wary of ending up on what observers call a “broker trip”—when the boat fails to catch enough fish to cover its expenses and the crew goes without pay. When a broker trip starts to seem inevitable, and the crew becomes more desperate, tensions between the observer and fishermen can quickly spike. In US-controlled waters, which are patrolled by the coast guard, Clemens and Davis felt relatively safe, but in international waters, where law enforcement is essentially nonexistent, they faced a different landscape entirely. “It was like the Wild Wild West,” says Clemens. Eventually, the loneliness of observing and the difficulty of sustaining a relationship while going out to sea all the time became too much for Clemens and she quit. Davis moved on to bigger vessels and longer trips in remote parts of the Pacific, growing more outspoken on the dangers that observers faced—including harassment, intimidation, and occasionally physical assault—and the need for stronger protection. The official response was rarely encouraging. At a fisheries management and observing conference in 2011, Davis showed a video that he had recorded while working on a tuna vessel in the Pacific. The footage showed people sleeping in hallways because there were not enough bunks—which is illegal under the international Maritime Labour Convention. To the government officials in attendance, it offered uncomfortable proof of how easy it was to skirt the law on the high seas. Though their lives often felt far apart, Davis and Clemens remained good friends. When he called Clemens a few weeks before he left for Panama to wish her a happy Fourth of July, Davis sounded excited. He was ready to make some money—ready to be back at sea. Davis boarded the MV Victoria No. 168 in Vacamonte, Panama, on August 5, 2015, departing a few days later for a voyage that was supposed to last between two and a half and three months. The Victoria was operated by Gran Victoria International, a Panamanian company, but had ownership ties to Japan, and was staffed with a Taiwanese captain and a Burmese and Chinese crew. It was not an ordinary fishing boat; the Victoria was a tuna transshipment vessel, a kind of mother ship for smaller commercial boats, with large refrigerated holds that allowed boats to offload their catches at sea and avoid the hassle of making regular trips back to port. Such an arrangement also makes it easier to hide illegal shark fins and drugs among the fish transfers. Davis had worked on transshipment vessels before and knew they were among the most dangerous for observers. “The ship is a little bit different. I’ll tell you about it once I get back,” Davis wrote in an email to his father, John Davis, a few weeks into his trip. The two were close, and John often received emails from his son while he was out at sea—nothing about this one suggested he was in any danger. Almost five weeks after leaving port, on September 10, 2015, the Victoria lay 805 kilometers west of Peru. It bobbed among the waves in a vast swath of ocean roughly the size of Asia and North America combined, an area loosely governed by a group of 20 countries plus the European Union called the Inter-American Tropical Tuna Commission. The seas were calm that day, the weather warm and drizzly. The Victoria was receiving a load of tuna from the Chung Kuo No. 818, a Taiwanese vessel. A crewman spotted Davis standing on deck at 2:50 p.m., watching. Just after 3:00 p.m., the transfer was complete, and the crew dispersed for a tea break. Davis was needed to sign the declaration. But the observer was nowhere to be found. It took nearly four hours for the Victoria’s captain to begin a missing person search. With help from 16 other vessels in the area, they combed a roughly 288-square-kilometer patch of ocean, an area based on where the currents might cause a person to drift. There was no sign of the observer. After 72 hours, the search was called off. By that time, the Victoria’s owners had received the news from the captain and relayed it to MRAG Americas, Davis’s employer. MRAG Americas contacted the US Coast Guard about the disappearance, but the ultimate responsibility to investigate lay with Panama, since the Victoria was flying its flag. Almost immediately, questions about the Panamanian authorities’ handling of the investigation arose, around access to potential evidence, for example. There was also Panama’s status as a “flag of convenience.” Panama, like South Korea, Japan, and Taiwan, have a reputation for not enforcing international fishing regulations, making it easier for ships registered in those countries to sidestep the law. The Panamanian government invited American officials to help with the investigation and Michael Berkow, the director of the US Coast Guard Investigative Service, headed up the American efforts. He sent agents to interview Davis’s friends, family, and colleagues—anyone who claimed to have information about what might have happened. When the Victoria arrived back at port in Panama—a full 10 days after Davis disappeared—Panamanian investigators and Berkow’s team, accompanied by two officials from MRAG Americas, searched the vessel, which is roughly the length of five and a half semitrailers. For eight hours, they looked for any clues as to what may have happened to Davis. In his cabin, they found his survival suit, with his emergency beacon tucked inside, and his life jacket. It was not a lot to go on. As Berkow mulled over the paltry evidence back in the United States, Davis’s case began to look like a true mystery. What he knew was that Davis went missing in broad daylight on a calm day and that he was an experienced observer. “Those are the facts,” says Berkow. Beyond that, investigators had only a morass of opinions, theories, and conjecture gleaned from people familiar with Davis and the type of situations he may have encountered at sea. Former observer Anik Clemens describes living conditions at sea. In Berkow’s 40-year career investigating crimes, Davis’s case stood out. At the coast guard, he had dealt with cases involving people who went missing at sea before, but many of them were fake, orchestrated by people who were trying to evade the law. Berkow had never searched for a missing observer so far out in the ocean before, and the complexity of the situation and lack of control over the investigation left him feeling frustrated. For starters, there was the sheer number of nationalities involved, which created all sorts of jurisdictional and diplomatic hurdles: Davis was an American citizen, but because the boat was registered in Panama, the US Coast Guard did not have the authority to conduct its own investigation; Berkow’s team members could sit in on interviews, but weren’t permitted to ask questions. On top of that, many of the usual investigative methods were less effective given the circumstances: the potential crime scene was far out in the Pacific and the length of time it took the Victoria to reach port provided plenty of opportunity for any evidence to be wiped away and for anyone on board who may have witnessed something to rehearse a story. Plus, many of the crew members did not speak English or Spanish, making it difficult to glean information from them. When the message about Davis arrived, either by text or Facebook—she can’t recall—Clemens felt a pit form in her stomach: “Hey, did you hear Keith is missing?” it read. In the weeks and months that followed, Clemens became obsessed with figuring out what happened. She couldn’t sleep and stayed up late into the night, bent over her computer, researching various things she thought might relate to the disappearance, while an endless stream of questions ran through her head: was he still alive, held somewhere as a hostage? And if he had died, was he murdered? Why? What did he know? When news of the disappearance reached Davis’s friend Alfred “Bubba” Cook, an ocean conservationist for the World Wildlife Fund in New Zealand, he also felt like his worst nightmare was coming true. Cook had met Davis in 2011, through their mutual work for the Association for Professional Observers (APO) and was immediately drawn to Davis’s energy and passion for his work. They had both grown up by the sea—Davis in Norwood, Massachusetts, Cook on the Texas Gulf Coast. They were musicians and conservationists, men whose lives felt inseparable from the ocean. They spoke periodically over the phone, often about observer safety issues. Now, Davis was gone—the fourth observer to disappear under mysterious circumstances while on the job in recent years. As he mourned his friend, Cook often thought about Charles Lasisi, an observer from Papua New Guinea who went missing in the South Pacific aboard a fishing vessel in March 2010. The boat he was on had long been accused of catching dolphins, sharks, and other prohibited fish, which Lasisi allegedly made strong objections to. He was last seen leaving the ship’s mess room, accompanied by two Filipino crew members, who, not long after, reported him missing. According to one report, Lasisi’s remains were later found just off the island of Wewak, west of Papua New Guinea, his legs and body bound with chains. The six Filipino crew members detained for murder were later freed by authorities in Papua New Guinea, their charges dismissed. Cook has tried to confirm the details surrounding Lasisi’s death, but no official investigation into his disappearance was ever conducted. Davis’s disappearance sent shockwaves through the observer community. He had been among their most prominent and vocal advocates about the hidden risks observers face—risks that his own disappearance now appeared to confirm. “You just don’t think something like that could happen,” says Liz Mitchell, president of the APO, who worked extensively with Davis over the years. Much of the time, observers and fishermen get along well and most observers never experience any kind of assault, she notes. But if the relationship between them sours, an observer can often face a lot more than just an angry boss. “Every observer who has been doing it for long enough has a story of being threatened or interfered with at some point,” she says, adding that threats and harassment against observers are an illegal but widely acknowledged part of fisheries management. Equally troubling for Mitchell and other advocates, however, is that despite the pervasiveness of the problem, systematic recording of observer harassment and interference is virtually nonexistent among the world’s governments and organizations. “Nobody really tracks this stuff,” she says. Over the years, Mitchell and several of her APO colleagues have tried to keep track of observer casualties and near misses as part of their efforts to improve safety conditions. But getting even basic numbers has proven nearly impossible. Most of the incidents she has compiled come from news reports and personal blogs. Observers are often reluctant to talk publicly about harassment they may have endured due to the difficulty they may encounter when reporting violations. Observer Danny Aab discusses human rights in the Pacific tuna fishery. When observers do file a complaint, they often face a bureaucratic black hole: the authorities in charge of following up—governments and regional fisheries management organizations—are often slow to respond or fail to sanction the captain or crew responsible. Last year, for instance, there were 131 reported violations against observers in the western and central Pacific, but no information about the nature of the incidents or whether they were addressed was released. The Western and Central Pacific Fisheries Commission (WCPFC), which governs that part of the ocean, does not consider the harassment reports a matter of public record, says Cook, due to the “confidential business information” they contain. In other cases, observers are reluctant to file complaints because, given the relatively small size of fishing fleets, there’s a chance they might get reassigned to the same boat. For Cook, Davis’s disappearance also signals a problem that extends beyond observer safety, one that raises big questions about how the world’s oceans are managed. Like scientists, observers must objectively measure, assess, and report the things that they see on fishing vessels. And for the seafood-eating public, observers also provide the independent verification necessary for the labels that identify sustainably caught fish. But Cook worries that if observers are too afraid for their safety to provide accurate reports, fisheries managers will base decisions on unreliable data, leaving fish stocks vulnerable to over-exploitation. What if, for instance, a captain offers you a bribe to alter your observations? “You might be putting your life at risk if you refuse and threaten to report [the bribe],” says Cook. Observer program managers emphasize that they take observer safety seriously. Employees are equipped with survival suits and emergency radio beacons, which alert search and rescue services in the event of an emergency, and are taught how to use them. Tension between an observer and the captain and crew is inevitable; as part of their training, observers learn conflict management strategies. But the ordinary seafaring dangers—rough seas, dangerous equipment, and the like—pose a far more persistent danger to observers, says Bryan Belay, the director of observer programs for MRAG Americas. Davis, he points out, is the only MRAG Americas employee to ever go missing at sea. When Simione Cagilaba, a 39-year-old observer from Fiji, left the port of Majuro in the Marshall Islands on board a skipjack tuna vessel in March 2015, just six months before Davis disappeared, he anticipated a routine trip. Like Davis, Cagilaba was a veteran observer with about 18 years experience, and had spent hundreds of days at sea. But soon after the fishing started, in international waters near the South Pacific island of Kiribati, Cagilaba saw just how perilous an observer’s position could be. As the crew members, who were mostly Vietnamese, hauled up the nets, Cagilaba noticed that the captain, an American, was disappointed. Many of the tuna were undersized and thus not likely to earn as much on the market, but the rules, set by the WCPFC, require that tuna boats keep any fish caught—regardless of size—to prevent overfishing. “Hey, my friend,” the captain said, pointing to the nets. “Can we record the fish that landed just in this one?” Cagilaba refused, but the captain, raising his voice, continued pressuring him to alter his report. The captain eventually told Cagilaba that he would dump the unwanted fish anyway. Once the captain knew Cagilaba was unwilling to falsify his reports, their relationship soured. The captain complained to Cagilaba’s supervisor that he was overstepping his role as an observer and Cagilaba began to feel intimidated. The crew often drank heavily and one night he awoke to the sound of men fighting in the corridor just outside his cabin and to find his roommate, a Chinese deck boss, standing by the door, ready to protect the observer in case the men barged inside looking for him. As the trip progressed, Cagilaba felt uncomfortable being on deck and rarely slept. Sometimes, he had nightmares about getting pushed overboard. That’s exactly what Davis’s friends and colleagues fear may have happened to him. “I don’t believe for a second it was an accident,” says Lynn Goodman, a former observer who worked with Davis in Alaska. “He had 16 years of experience as an observer, often in far more dangerous seas. So he just fell off a boat in really good weather? Really?” He helped write the safety protocols to avoid that, she adds. When Cagilaba had started his career, with a coveted place in the Fijian government’s observer program, he relished being at sea. Sometimes, he even felt a certain closeness with the captain and crew. They survived storms together, and he lent a hand when some of the crew was too sick to work. But over the years, he saw things change, as fish stocks diminished and the number of boats increased. “Later on, I was afraid,” says Cagilaba. “People became bolder in testing the loopholes in the laws.” Some of the captains, he believed, were a little too close to the people running observer programs. American captains in particular seemed to think that observers from Fiji and other small island nations could be more easily persuaded to look past rule breaking. Many of his colleagues had buckled under the pressure, worried about their livelihoods. Observer Steve Elliott reflects on safety issues on board a fishing vessel. Cagilaba reported the boat’s violations, but when the captain’s complaint about him reached the Fijian government, his contract was not renewed. He has not worked as an observer since. That sort of blacklisting is not an isolated incident, says Mitchell, and helps explain why so few observers are willing to speak out about harassment. Mitchell endured a similar incident back in 2004, after she landed a trip to the Southern Ocean on an American boat—a dream job, she thought. She had always wanted to see Antarctica. But when the vessel offloaded 20 tonnes of bait to another boat—raising suspicions that the second vessel would go on to illegally fish in a prohibited area—and Mitchell reported it, the captain threatened to throw her overboard. For the rest of the journey, she hid in her room and got off the boat in Chile, expecting to be placed on another vessel. Instead, Mitchell was fired. One of the first things Cook tried to do when he heard about Davis’s disappearance was to cut off the Victoria’s supply chain. He wanted to hold the company that buys fish from the boat, Rocmar Seafood S.A., accountable. He also tried to find out which seafood companies Rocmar Seafood S.A. sells to—the companies behind the cans of tuna you see in the supermarket—but no one outside of the company, Cook learned, had access to that knowledge. A few days after the US Coast Guard joined the Panamanian authorities in their investigation into Davis’s disappearance, the Panamanian government informed Berkow’s team that they no longer needed their assistance. Berkow had no choice but to call his agents off the case. More than a year later, the Panama Maritime Authority has still not released its final report, though the agency affirmed in an email that the investigation was finished. “The causes of this tragedy are unknown,” it read. Recently, Clemens published a book that she and Davis had been editing for years. It is a compilation of stories and poems from observers around the world about their work. They titled it Eyes on the Seas. She hopes it will help people understand what observers do, about their lives, about the sacrifices they sometimes make. He would watch them from the bow of the ship, hundreds of kilometers from the nearest bit of land, gliding on invisible currents of wind, until they were swallowed up by the sky. 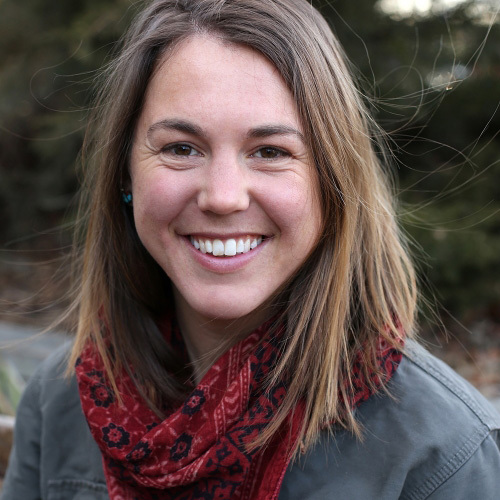 Sarah Tory is an independent journalist and a correspondent for High Country News, a nonprofit magazine about the American West. Born in Toronto, with roots in Atlantic Canada, she now lives in the mountains of Colorado and often misses the sea. Cite this Article: Sarah Tory “The Mysterious Disappearance of Keith Davis,” Hakai Magazine, Jan 4, 2017, accessed April 26th, 2019, https://www.hakaimagazine.com/features/mysterious-disappearance-keith-davis/. Since his release from prison in the 1980s, Carlos Rafael has ruthlessly run his Massachusetts seafood business with little regard for the law. But is there any other way to survive the gauntlet of restrictions on the New England fishing industry?